Located just east of 225 (on the longest street in America! ), The Green Solution Colfax offers something for every cannabis aficionado. 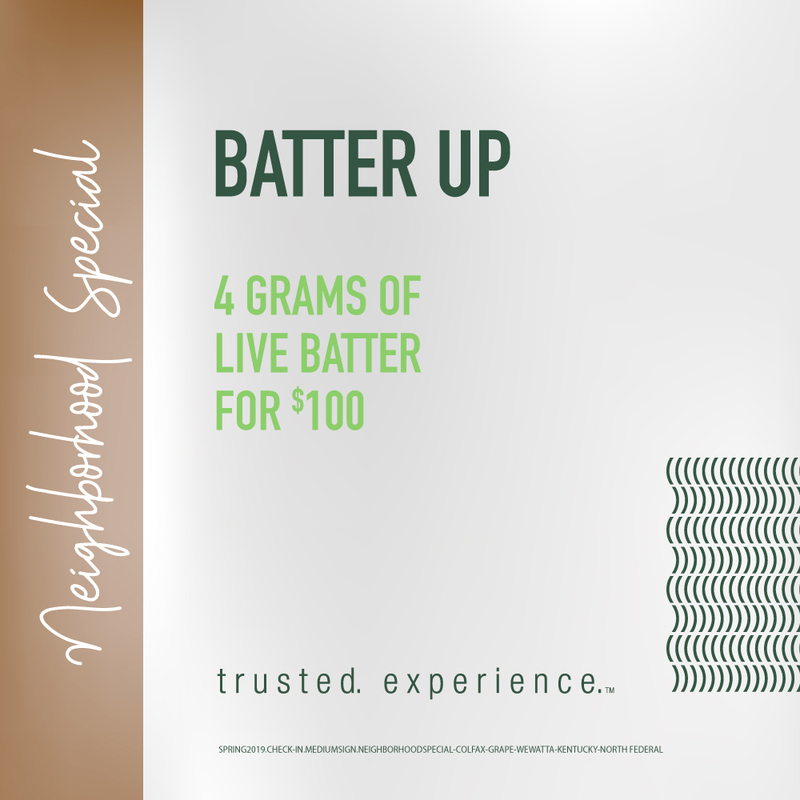 The largest dispensary in our family of stores, this location is near the 13th Avenue light rail station, Star K Ranch, Sand Creek Park, and Fitzsimmons Golf Course, and two miles east of the Anschutz Medical Campus in Aurora. We&apos;re proud to recruit local retail associates at our stores, and uniquely train them to handle questions from those visiting Colorado who might be new to the cannabis experience. Whether you are a first-time user, cannabis veteran, or in town for medical reasons, your questions will be answered thoroughly and your needs met accordingly. Our goal is for you to always have a positive experience, both in our store and at your home.